What’s better than one shower in your bathroom? Two, of course! As a growing trend in Australia, twin showers are the cherry on top of the cake – taking your room up a notch in terms of design and luxury. It doesn’t matter if you’d like a twin shower in a master ensuite or the family bathroom, it’s a design concept that can be easily incorporated into your bathroom environment. The team at Bubbles Bathrooms love working with twin showers, adding a relaxing haven that could be straight out a luxury hotel. Do I need a huge space for twin showers? You might think that you need a massive area for twin showers. However, when you work with a company like Bubbles Bathrooms, clever design is really what is required. If your wish list includes twin showers, our expert designers will aim to maximise every centimetre of available space to make this happen. The key measurement to keep in mind is width. For a twin shower area to work, it needs to be wide enough for a central entrance, two wall-mounted showerheads as well as two overhead rain showers mounted on the ceiling. It might also be a good idea to include a recessed shelving space in the middle of the twin shower so both parties can share shampoos and soaps. 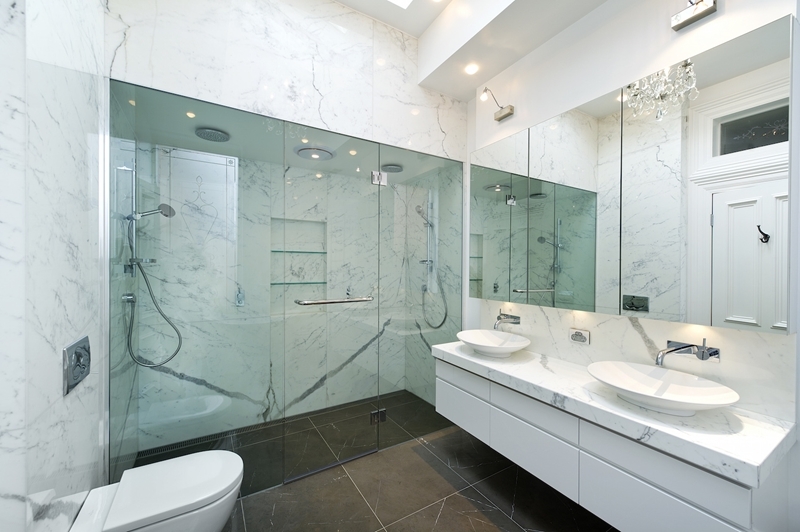 During the design phase, we can walk you through these requirements to ensure that you don’t lose functionality and aesthetics in your bathroom. We have a simple philosophy at Bubbles Bathrooms – we want your redesigned space to look fantastic and work great. In terms of twin showers, this means building a bathroom around this outstanding feature. For example, we recommend pairing twin showers with a double vanity – allowing two people to use the shower space, then mirror space together. This also provides more space around the sink area, perfect for when all the kids need to brush their teeth before school! Keen to explore the idea of twin showers? Twin showers are something out-of-the-box. As a new and exciting design trend, you can stand out from your family and friends with a relaxing, luxurious twin shower space that allows you escape from the pressures of everyday life. If you’d like to learn whether twin showers could be possible in your space, get in touch with the team at Bubbles Bathrooms today – we look forward to hearing from you!